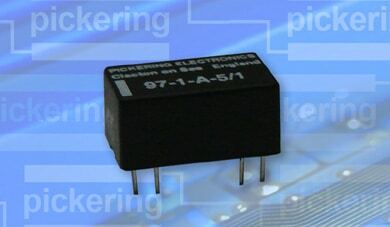 The Series 97 is a range of reed relays with pins in the popular Dual-in-Line format. Being encapsulated in a plastic package using a very high resistivity epoxy resin gives the device several advantages over the more usual moulded construction. 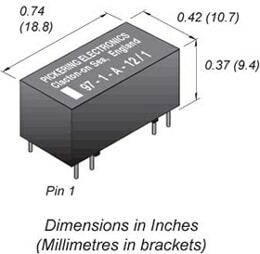 The reed switches are not subjected to the high temperatures and pressures of the transfer moulding process with the inherent risk of damage to the sensitive glass to metal seals. The construction incorporates a mu-metal wrap around the operating coil to eliminate magnetic interaction problems.